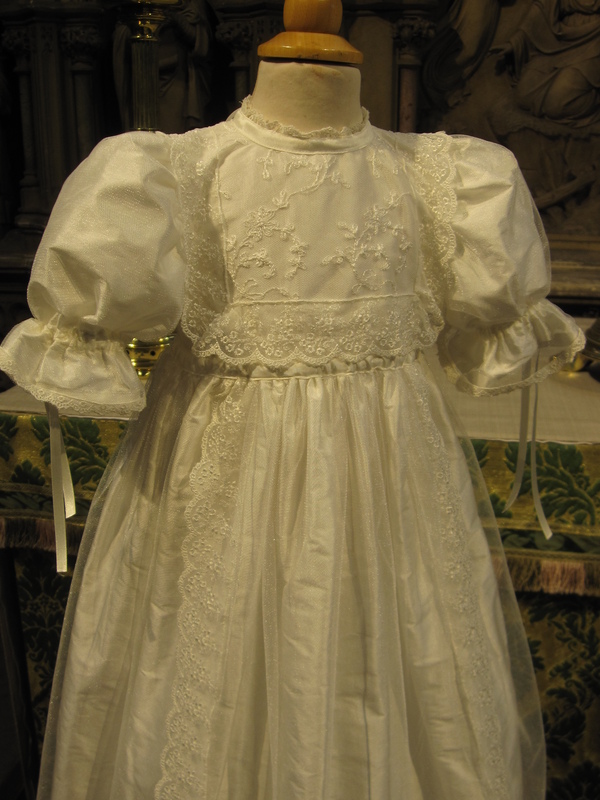 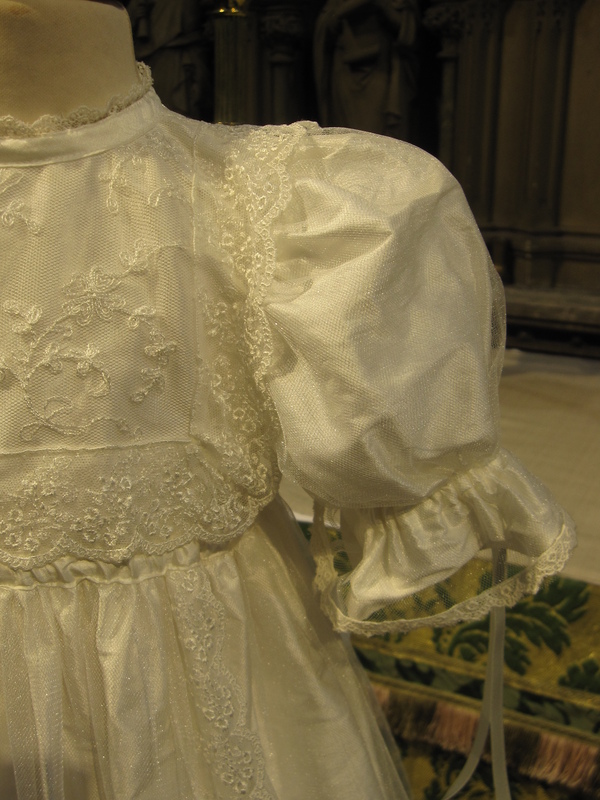 An heirloom lace Christening Gown created by Christening Gown designer, Linda Patrick. 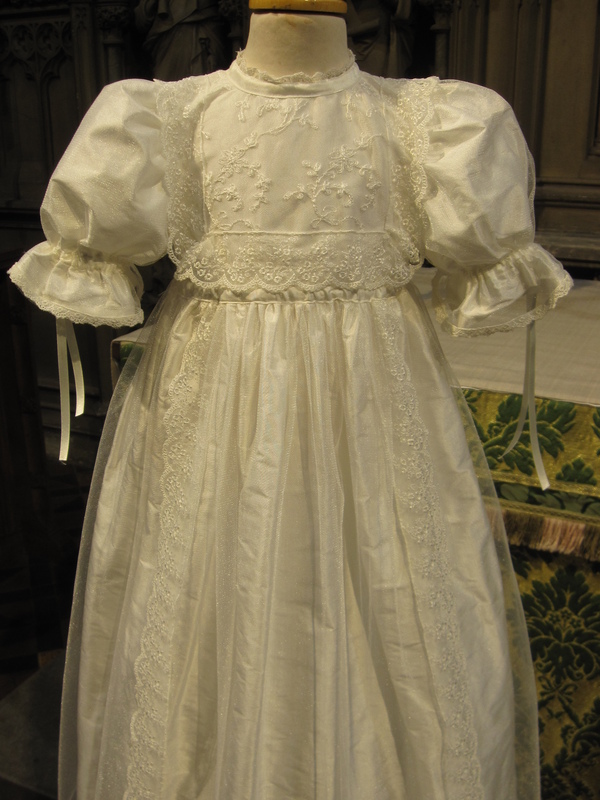 The Beatrice Christening Gown is a stylish silk and lace gown reflecting the Edwardian era. 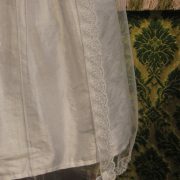 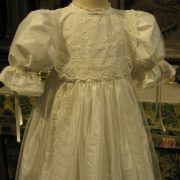 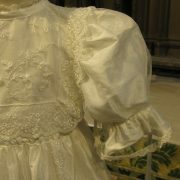 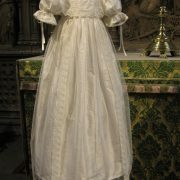 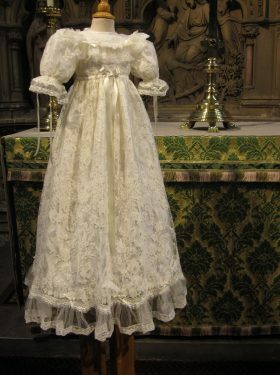 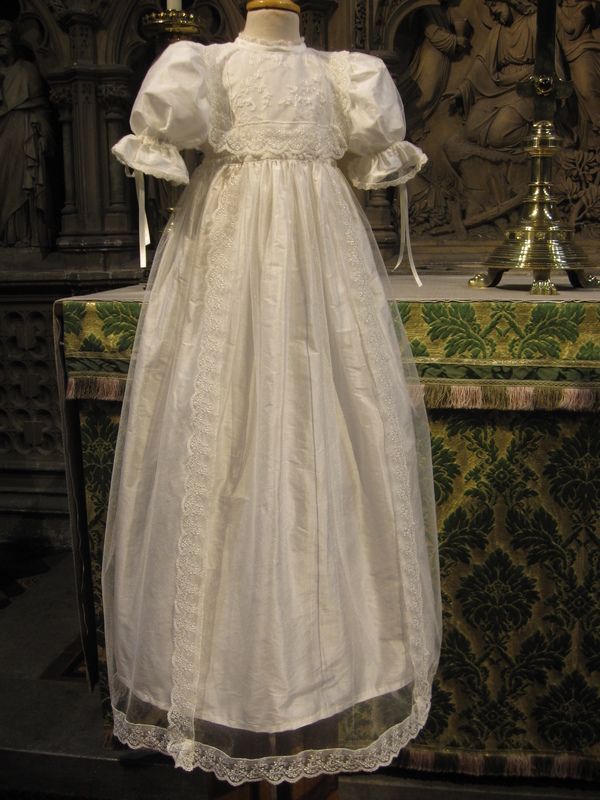 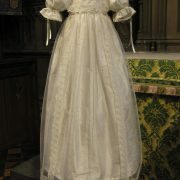 This Exquisite baptism robe is made with a silk dupion undergown and a tulle overgown trimmed with Nottinghamshire lace. 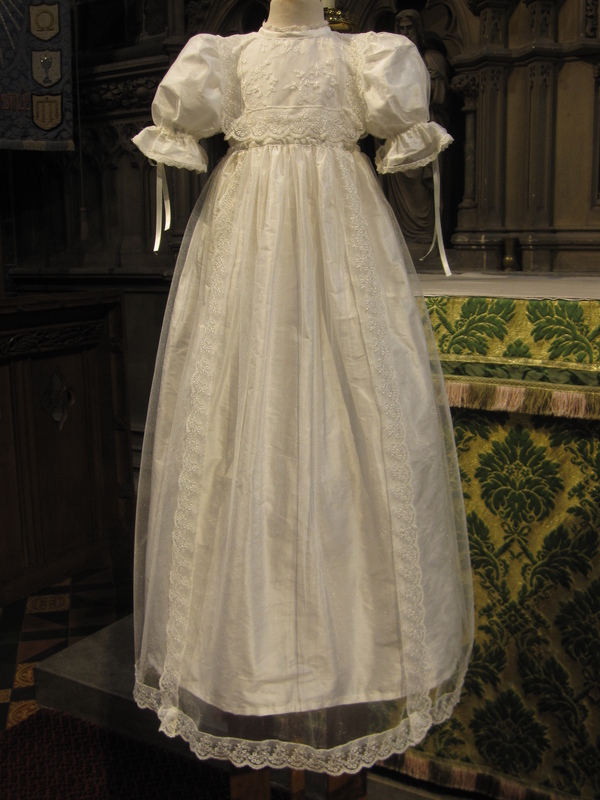 Based on a pattern from the Edwardian era the gown oozes class and grandeur. 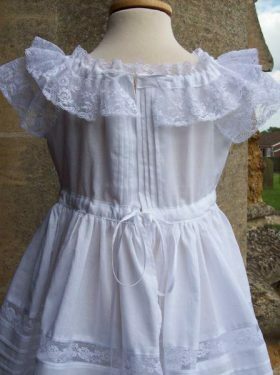 The bodice is particularly pretty with its lace edgings and trims. 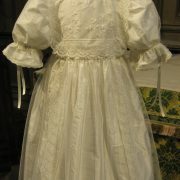 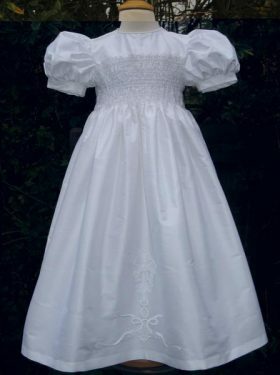 A perfect christening gown for this coming Christening season. 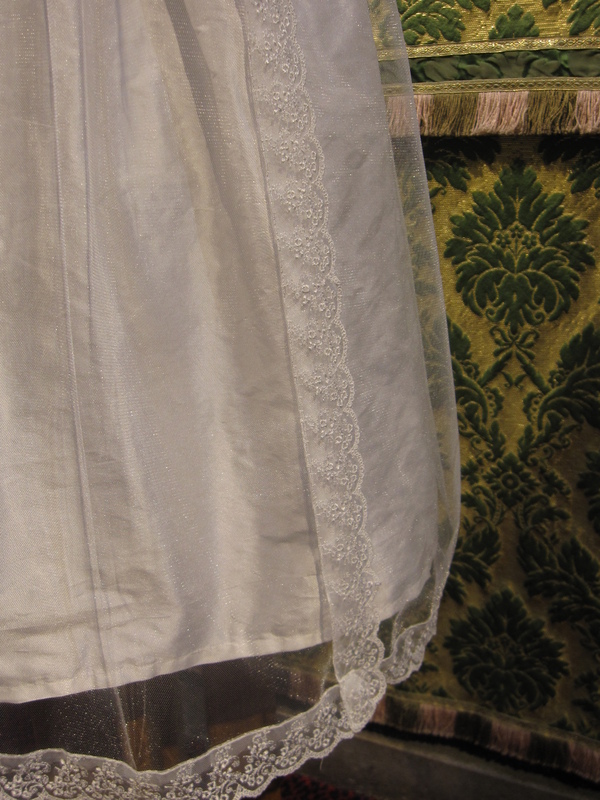 A variety of trims are available, please contact us for samples. 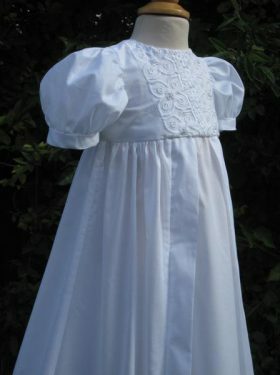 Matching bonnets, booties, bibs and shawls are also available.